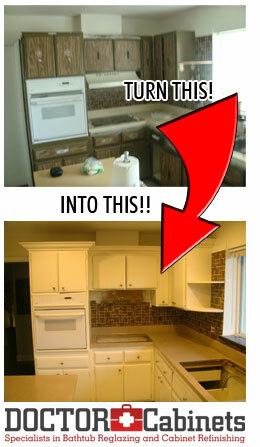 Looking for the finest and best kitchen and bathroom cabinets resurfacing, refinishing in West Palm Beach, FL? Has a bathtub in your house that is in need of replacement? Look no further than Doctor Cabinets, Inc.! West Palm Beach’s top Cabinets and Bathtub Refinishing Specialists! We are based in Boynton Beach, FL, and we serve the entire city of West Palm Beach, FL with a service that yields the highest quality when it comes to affordable cabinetry refinishing, bathtub re-glazing or counter top refinishing, appropriate for bathrooms, kitchens and many other locations.